The Piano Quintet op.44 and the Piano Quartet op.47 date from the very fertile period of the autumn of 1842 in the wake of the three string quartets op.41. 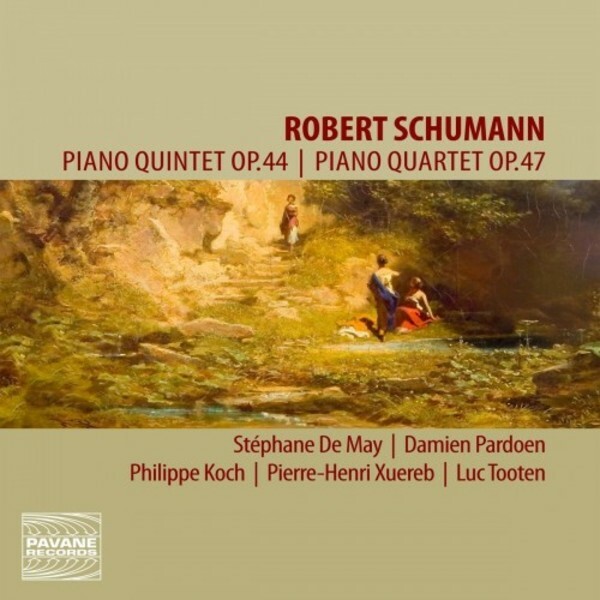 No doubt of a more academic character than the quartets, the Piano Quintet is also more moving and more accomplished, better groomed in its quasi concertante form, which subtly links the rigour of the quartet with the freedom of expression and the fantasy of the pianistic composition, aptly characteristic of Schumann. The Piano Quartet uses the same splendid tonality of E flat major. In only a few months� time, the composer thus produces more than half of his outstanding output of chamber music, as if he had kept for a long time within himself his inspiration of the chamber music player, which all of a sudden bursts forth in a brilliant posy.